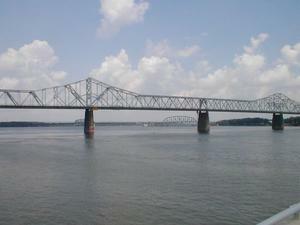 Built in 1929, this two-lane cantilever bridge carries US 31 over the Ohio River at downtown Louisville in Jefferson County. 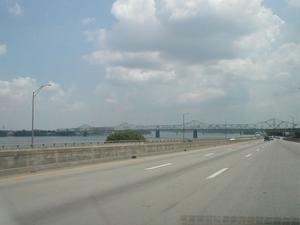 The bridge was constructed as a toll bridge; however, tolls were lifted in 1946. 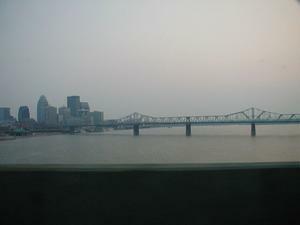 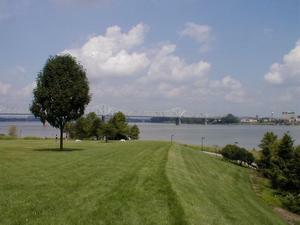 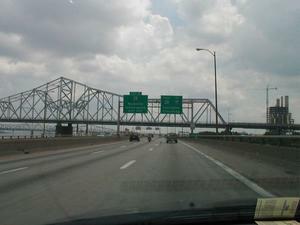 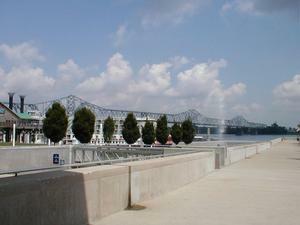 The bridge is known as both the Second Street Bridge and the George Rogers Clark Memorial Bridge. 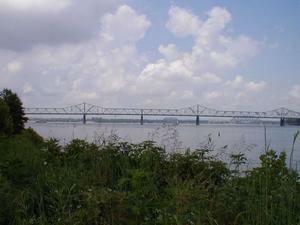 structurae: George Rogers Clark Memorial Bridge - Vital statistics about the bridge.